It is so exciting to see a Mimosa tree blossoming, the beautiful yellow color which resembles the sun and all the round little flowers with a perfect circle, which is the beginning and the end.It just makes you happy! 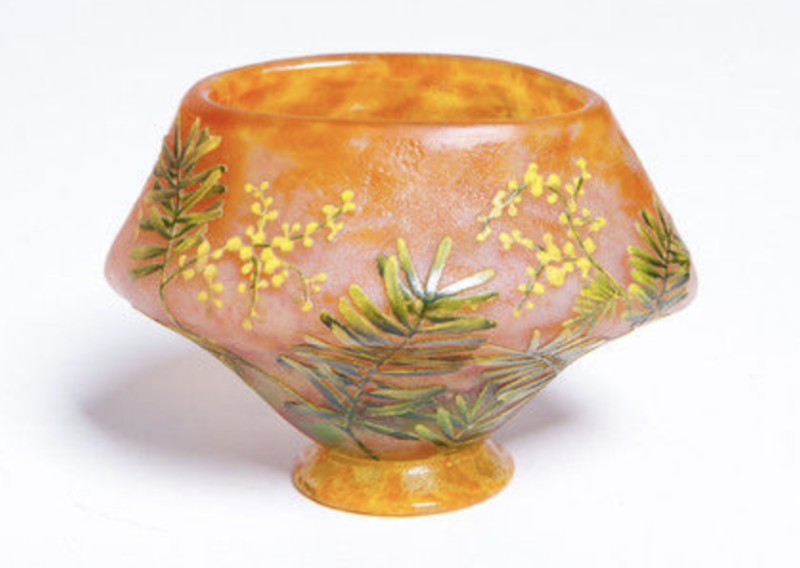 So does this coupe made by Daum around 1900 with the Mimosa flowers in a rare oval shape. Lovely item for any collection.